When there’s little or no room left in the ground, it’s time to grow vertically. Clothe walls and put your gardening efforts ‘upwards’ by planting arches and pergolas, squeeze an obelisk into any border and drape with garlands of flowers to create points of interest or, alternatively, use existing trees, large conifers and mature shrubs to provide supports for climbing plants such as clematis and scented sweet peas. No wall cover is complete without a cluster of climbing roses. Normally paired with clematis, try a more unusual arrangement and marry the fiery orange trumpet vine or campsis, with the velvety wine-red flowers of Clematis ‘Madame Julia Correvon’. Give an almost unproductive old apple tree a new lease of life by attaching the beautiful antique rose ‘Mannington Mauve Rambler’ to its gnarled branches. This superbly fragrant variety produces large clusters of mauve flowers in midsummer. And if you have a tumbledown shed or similar grot spot to disguise, cover it up with the petal-packed, delicately fragrant rose ‘Paul’s Scarlet’, partnered with the later-flowering purple and white flowers of Clematis ‘Elvan’, which flowers from July to September. This rose variety is also a good choice for draping over arches, pergolas and arbours as there are no scratchy thorns to catch your sleeves on. Another noteworthy member of the climbing plants family that will effectively hide unsightly objects is honeysuckle. Valued for its very fragrant flowers, which are strong enough to perfume the entire garden in mid- and late summer, it’s a good match for the ‘Zephirine Drouhin’ rose, which has a lovely floral scent that blends well with the strong hint of honey. 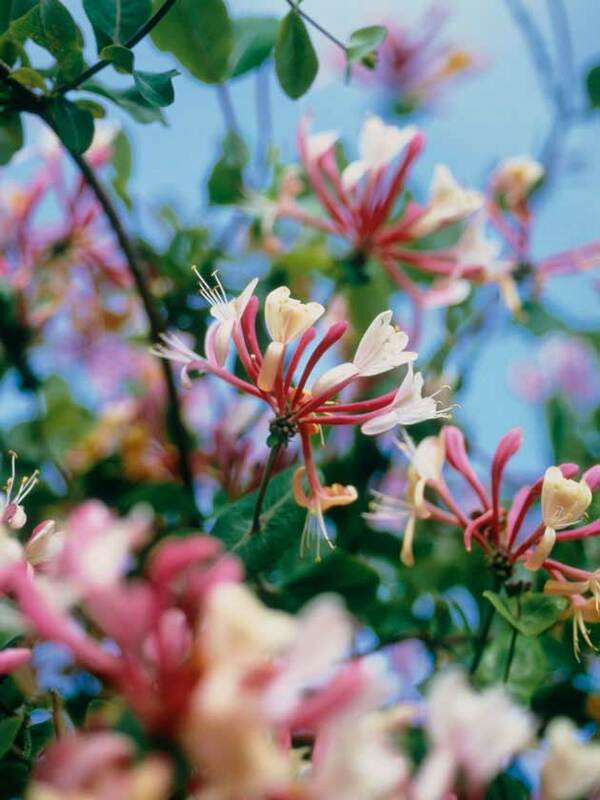 Create ‘wrap-around’ screens and immerse yourself in fragrance with the apricot and raspberry coloured flowers of the late Dutch honeysuckle, Lonicera ‘Serotina’. Add clumps of lavender and lilies at its feet so the mood-enhancing combination of sweet and smoky scents can be enjoyed while you sit and relax. Shrubs such as philadelphus, weigela and forsythia, which flower in spring and then look drab for the rest of the year, make excellent platforms for later-flowering Clematis viticella, canary vines and sweet peas. On acid or ericaceous soils, rhododendrons can also be revived when the spring flowers fade with the delightful frame-red Tropaeolum speciosum. Evergreens can also be given a boost during the summer with an overcoat of lightweight clematis. Try the rosy C. viticella ‘Confetti’, fragrant mauve ‘Betty Corning’, luminous pink C. texensis ‘Etoile Rose’ or the blue ‘Polish Spirit’. A dull privet hedge will demand attention when given a lick of colour with a Chilean glory vine, and Lonicera nitida will look even more impressive if the perennial sweet pea Lathyrus latifolius, which has colourful pea flowers, is allowed to stud the greenery throughout the summer with its white, pink or purple blooms. Annual varieties of sweet peas are also a good ‘smother-all’, twining their stems around any upright structure as they reach for the sky. They look very effective when grown up canes or sticks arranged as an obelisk, either in pots or garden borders. They are also useful on the veg plot as they attract pollinators, making them a great partner for runner beans. Try the classic combo of runner bean ‘Painted Lady’, which has bi-coloured red and white flowers, alongside the magenta and purple sweet pea ‘Matucana’. Alternatively, try the trumpet-flowered Morning glory ‘Star of Yelta’ and ‘Scarlet Climber’ with these two-tone beans. Sweet peas are also favourites for making a ‘mix and match’ hardy annual screen. 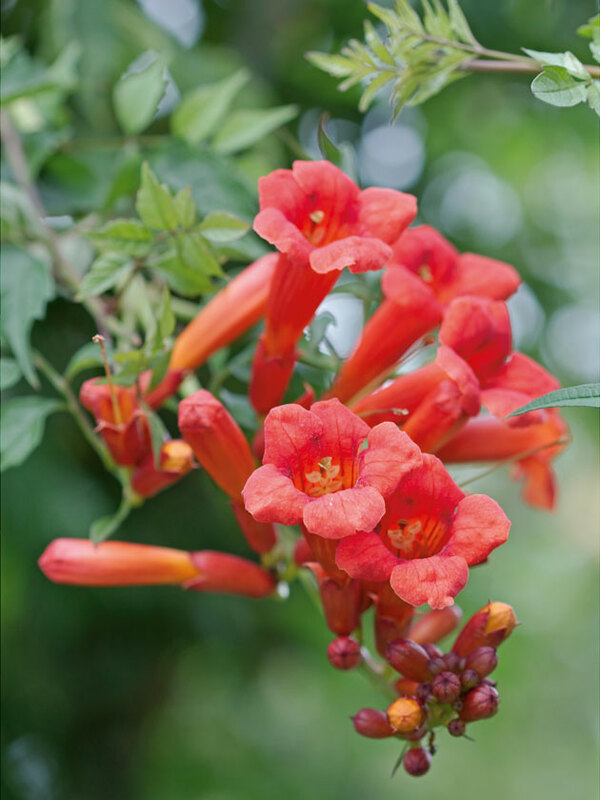 Plant them alongside the Chilean glory flower or Eccremocarpus scaber, which is a slim-fit self-clinging perennial climber with pink, scarlet, crimson, yellow or orange nodding blooms. Another summer special that will bring sunshine to a sunny border is the colourful Spanish flag, Ipomoea lobata. The twining stems scramble with ease and create a cascade of appropriately named flowers, which are stunning red at first, changing to orange or yellow and fading to pale cream. It is a good alternative to sweet peas as a focal feature in a flower bed and especially one with an exotic colour theme. The blooms last three to four months and linger well into October, providing a late feast to any foraging bees. If orange is one of your favourite colours also add Black-eyed Susan or Thunbergia alata to your list, plus Eccremocarpus scaber – its tubular flowers look really good when allowed to scramble into nearby shrubs, giving them a fiery overcoat. In a flower bed, I would recommend that you make room for a very happy couple – the deep purple starry flowers of Clematis ‘Etoile Violette’ and the purple spiky blooms of Hebe ‘Midsummer Beauty’. Truly stars and spikes at their best! * Climbers and their host plants must be matched for size. If the climber is too vigorous or heavyweight, the host plant may be killed. * When planting, it’s important to prepare the soil well and dig in plenty of organic matter to hold on to essential moisture. 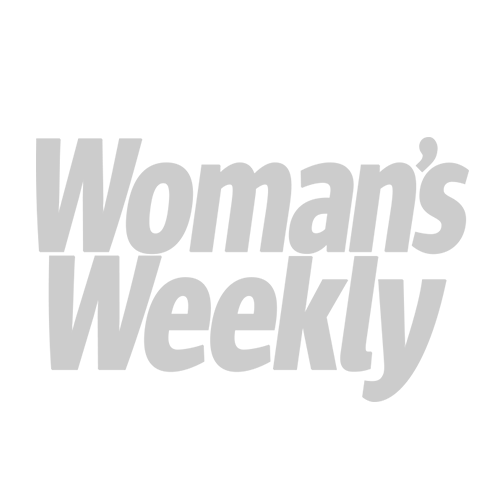 * Position plants at least 30cm away from the base of the wall and train at a 45 degree angle on to the wall, supported with a cane or wires. * Do not plant too close to the base of a host plant or they’ll suffer as they compete for water and nutrients. 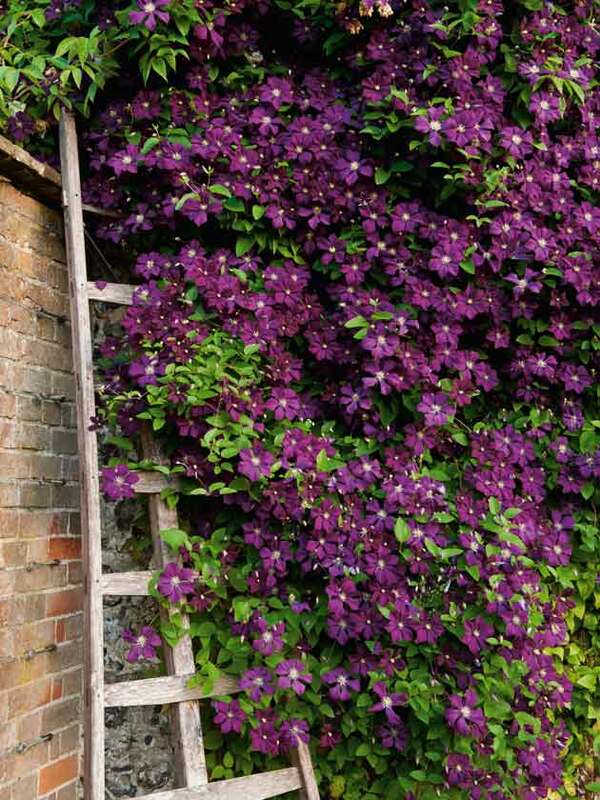 * Plant the climber on the shady side of the host, so that it will grow in towards the host and the light.